HOLLAND, Mich. (October 30, 2018) — Elzinga & Volkers, a leading provider of construction management services, continues on pace for a record-setting year, emphasized by an increase in new hires, promotions, projects, and business and safety awards. As the organization works its way into 2019, E&V celebrates several accomplishments including over 4,000 days of no lost time from construction-related incidents, receipt of a national safety award and other awards of recognition for the company’s strong business expertise, and the beginning and/or completion of 11 major projects. In 2018, the company broke ground on several major Michigan based projects, including Creative Products International, CentraCare, LifeChange Community Church, Clark on Franklin Independent Living, Tommy’s Express and Music Vault. This year, E&V completed The Western Theological Seminary in Holland and Munson Healthcare Medical Building in Manistee, Michigan. The Sanctuary at McCauley and Sanctuary at the Park in Muskegon, Michigan, Clark on Keller Lake in Grand Rapids, Michigan and Holland Hospital Behavioral Health in Holland are projects awarded to the firm in 2018 that will begin in 2019. “These new hires and promotions show our continued dedication to hiring the best talent,” Novakoski added. The organization was honored with the Associated Builders and Contractors, Inc. National Safety Excellence Award. E&V received two other awards in addition to the ABC honor, including West Michigan 101 Best & Brightest “Best of the Best” Midsize Companies to Work for and Associated Builders and Contractors West Michigan Chapter – STEP Platinum Award. For more information on E&V, please visit www.elzinga-volkers.com. Elzinga & Volkers Construction Professionals is a leading provider of construction management services serving clients nationwide since 1945. Locally owned and headquartered in Holland, Mich., the company specializes in delivering the highest quality construction management and consulting services to a wide variety of industries, including senior living, health care, manufacturing and food processing. 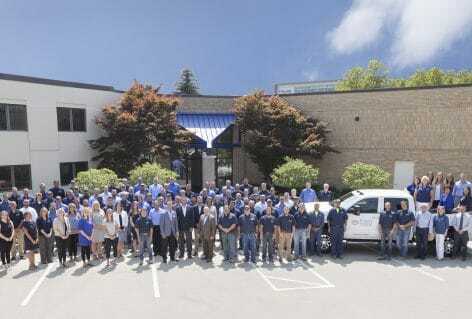 It has been named Michigan Contractor of the Year and recognized nationally as a Best and Brightest Company to Work For. Visit www.elzinga-volkers.com for more information. Find us on Facebook/ElzingaVolkers and follow us on Twitter.